Today we’re gonna talk about a question that was on our minds for a long time: how do we combine permadeath with a strong narrative in Darkwood? I mean, won’t it be boring when you die for the 312th time and have to talk with the same characters, listen to their stories again and again and do the same old fetch quests? Won’t it be frustrating to lose all your progress after dying and to have to do everything all over again? First, implement organic choices that have meaningful consequences. What do I mean by “organic”, you ask? Let’s say you meet a madman, who explains to you that he is building a rocket in which he intends to travel to the moon. But he needs rare, hard to find parts to do so. You can choose to help him out and bring him the parts, sabotage his creation and give him faulty parts… or simply kill him. Not choosing is also a choice by itself – ignoring his request might also have consequences. These choices might not present themselves as simply A B C D dialogue options, but can also manifest themselves in the gameplay itself. Some of them will be well hidden and require knowledge you did not possess in a previous playthrough. Sometimes, you might even unknowingly do something that will dramatically alter someone else’s life. The other choices you make relate to the gameplay itself. Should you, or should not, go to that creepy old house? Will you have enough fuel to keep the lights on for the night? Should you try to survive the night outside or inside the house? Should you kill a man on sight, or take a chance and see who he is? Almost every risk earns you a reward. Almost every reward comes with a risk. It is a natural system that many of us fell in love with while playing games like Dark Souls. Just know one thing. Your choices will matter. Some of the consequences of these choices will be visible almost immediately, while others will be relevant throughout the entire game. Second, add multiple layers of complexity to the narrative, puzzles and characters, who have their own, sometimes very different version of truth than you or the other inhabitants of Darkwood. Think of a movie you saw that made your jaw drop, but you didn’t fully understand it. You go online, check some forums, read reviews, maybe post some stuff yourself. You watch it again, and armed with new knowledge, you begin to discover things that you weren’t able to see before, making watching the movie a whole new experience. This is what we’re aiming for in Darkwood. Third, divide Darkwood into chapters. When you die, you can start over from the same chapter, instead of the whole game. The choices you made in the previous chapters are saved. There is something you have to be careful of, though – you have a limited number of “lives” at your disposal. If you lose all of them… Then it’s game over for you. 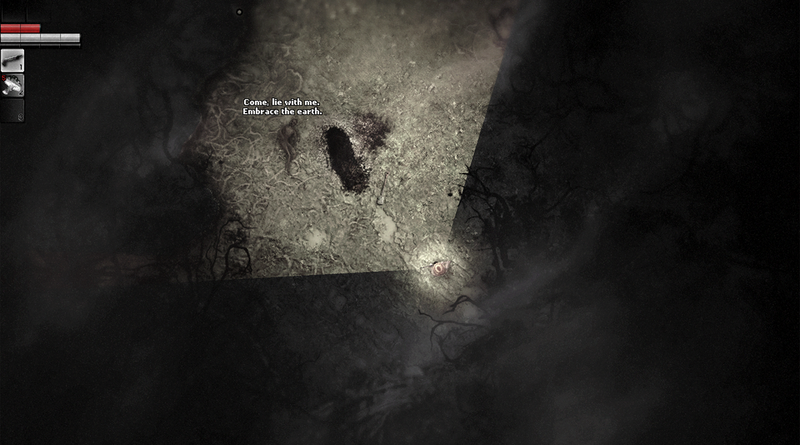 However death is not the end in Darkwood. It’s an opportunity to discover something new about it’s world. About it’s characters, tragedies, secrets. Fear the man of one truth. Don’t let yourself become one.